Ladies Bliss II Shoe from Van Dal. Black, Navy or Winter moss. 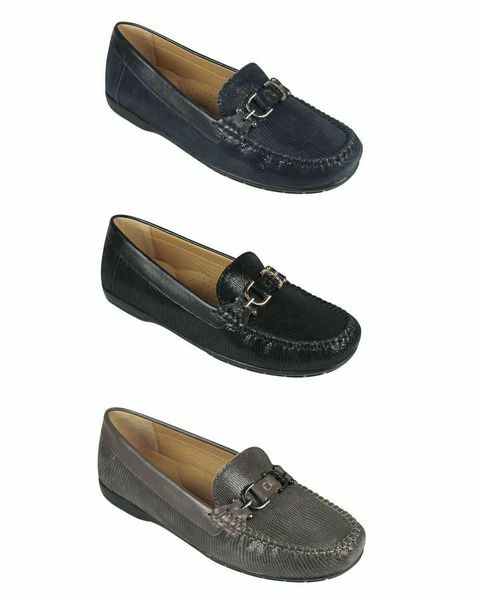 Supersoft leather loafer with snake skin design and decorative trim to front. Rubber sole for added grip.